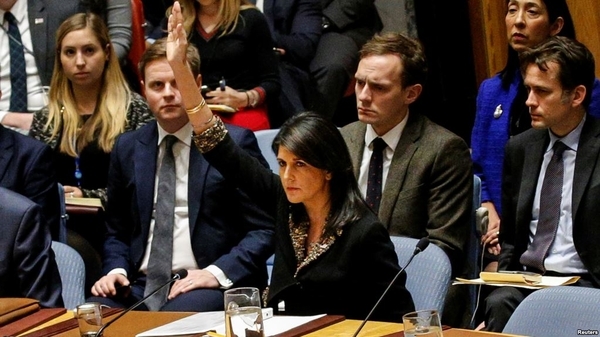 Nikki Haley, the US Ambassador to the United Nations, vetoed an Egyptian-drafted resolution condemning the Trump administration's recognition of Jerusalem as Israel's capital. 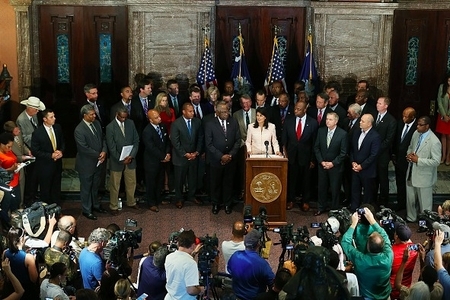 In 2015, then-Governor Nikki Haley publicly called for removing the Confederate flag from the grounds of the state capitol in Columbia. Three weeks later, it was gone.